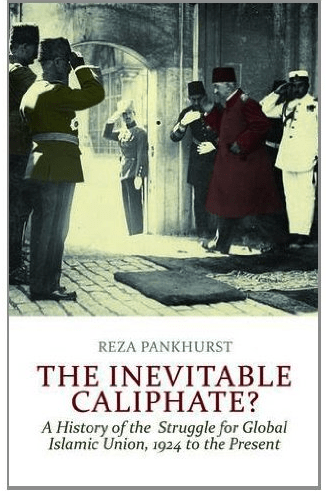 This October, Columbia University Press will publish The Inevitable Caliphate? : A History of the Struggle for Global Islamic Union, 1924 to the Present by Reza Pankhurst. The publisher’s description follows. Throughout Islamic history, the term Caliphate has evoked an ideal Islamic polity that mainstream Islamic scholars unilaterally support. Though the recent “Arab Spring” has toppled long-standing dictators across the Middle East, the region’s dominant discussions continue to support the compatibility of Islam and democracy, reviving the issue of the Caliphate with opponents and advocates alike. The Inevitable Caliphate? is a unique analysis of Islam and the Muslim polity that refuses to use liberal democracy as a universal yardstick to measure the modern state. It also avoids categorizing Muslims as “Islamists” or other reductive groups, instead encouraging a normative understanding of the politics influencing today’s Muslims. Instead of artificial paradigms that shed little light on Islamic movements, this book situates the Caliphate’s proponents within the political context they address while also considering their political positions and religious understanding. Beginning with the period of the Caliphate’s formal abolition, the volume examines the ideas and discourse of Rashid Reda, Ali Abdul Raziq, Hasan al Banna, Taqiudeen an-Nabahani, Syed Qutb, Abul Ala Maududi, Osama bin Laden, and Abdullah Azzam, among other intellectuals, and includes the position of such groups as Hizb ut-Tahrir, the Muslim Brotherhood, al-Qaeda, and al-Murabitun. The study highlights the Caliphate’s core commonalities and differences, its status in Islamic theology, and its application to contemporary reality, and it follows how, as groups struggle to reestablish a polity embodying the unity of the umma (global Islamic community), the Caliphate has been either ignored, minimized, reclaimed, or promoted as theory, symbol, and political ideal.